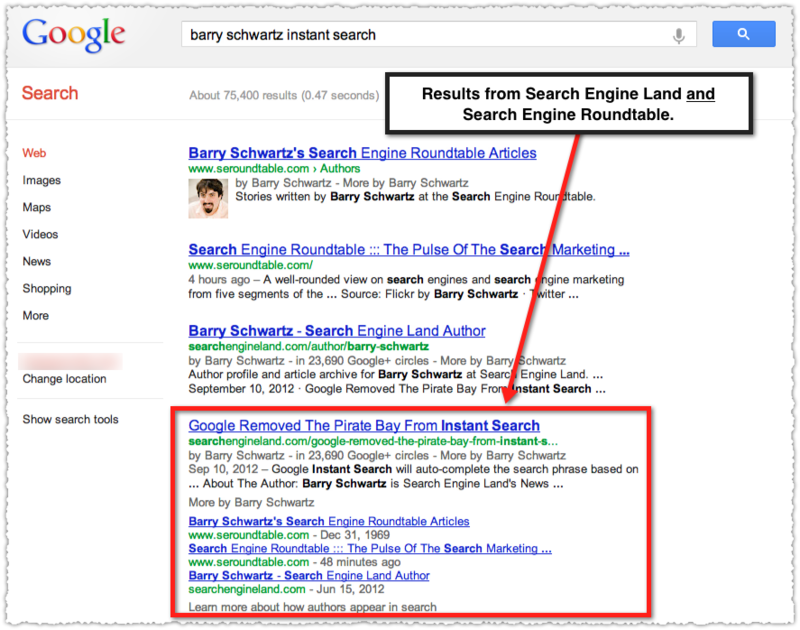 AJ Kohn's Why Getting Read Could Improve Your AuthorRank uncovered some new nuggets about Google Authorship that you may have not known. I think Matt McGee highlighted one of the more important ones with Google Confirms Hidden Benefit Of Authorship: Bonus Links After A Back-Button Click. Yes, if you click on a story from Google's search results and then eventually click back, more links from that author may be added. In addition, the links that are added doesn't necessarily have to come from that same source. Google also may associate authorship without the markup, but that we knew. To see the extra links added, you need to click through to an article and wait a long time, as long as ten minutes. The instructions to trigger this new Authorship result are to search for a specific term (usually a combination of topic with an author or publisher), click through on the first result, stay on that destination page for five or ten minutes and then use the back button to return to the SERP. I wonder why Google requires such a long wait for this to show. Matt McGee said the magic number is a full two minutes. That is an eternity in search. Does anyone actually do that? Maybe Google feels it takes two minutes to read a story from an author and when they click back, showing them more stories from that author is relevant?